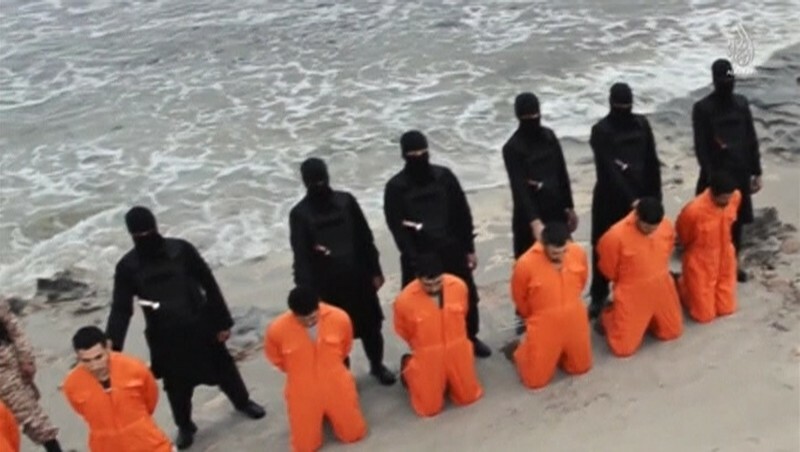 WASHINGTON (CNS) — The Knights of Columbus and In Defense of Christians contend that Christians in Libya, Iraq and Syria are victims of genocide carried out by the Islamic State in a new report. The organizations said they planned to send the report to Kerry. State Department officials hinted in October that a genocide designation was coming for the Yezidi minority, but not for Christians. The comments led to a firestorm of protest from Christian groups that resulted in congressional action setting the March 17 deadline for Kerry to respond. The organization highlighted numerous Christian religious leaders and prominent people who signed the petition. Among them were Archbishop Joseph E. Kurtz of Louisville, Kentucky, president of the U.S. Conference of Catholic Bishops; Bishop Oscar Cantu of Las Cruces, New Mexico, chairman of the bishops’ Committee on International Justice and Peace; Cardinal Timothy M. Dolan of New York, chairman of the Catholic Near East Welfare Association; Archbishop Jose H. Gomez of Los Angeles; Bishop A. Elias Zaidan of the Maronite Eparchy of Los Angeles and Andrew Benton, president of Pepperdine University. “It is clear that what the so-called Islamic State is doing to Christians and other minority groups in Iraq and Syria fits the United Nations’ definition — violence and killing with ‘intent to destroy, in whole or in part, a national, ethnical, racial or religious group,'” he wrote.